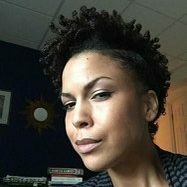 Ebony Coletu is Assistant Professor of English and African American Studies and Affiliate Faculty member of the Center for Democratic Deliberation. Her primary area of research addresses the rhetoric of application forms within a historical and sociological framework that accounts for the way biographic details are used to distribute institutional resources. Her current book project, Forms of Submission: Writing for Aid and Opportunity in America explores a 125-year history of applications for financial support, employment, and admission, and the ways institutions address problems with inequality at the level of the applicant’s biography. With Ira Dworkin, she co-edited a volume of Comparative American Studies on transnational American Studies in the Middle East and North Africa. She also has two forthcoming articles on Egypt, appearing in The Drama Review and Transition. Ebony Coletu’s latest project focuses on an exploration of a little-known back-to-Africa movement that resets the timeline for African American migration to Ghana. Building on research that began as a biography of her ancestor Alfred Charles Sam (1880-1932), the book reconstructs the logistical complexity and inspiration for an African organizing African American return to Ghana in 1915. Pan-African Logistics: Chief Sam and the Origins of African American Migration to Ghana identifies African descendants of the movement, the role of African Americans in an emerging West African nationalism, and the complex interface between blackness, business, and migration.